As well as our fitting expertise there is a ten year guarantee on all the carcases which come colour matching and are made of 18mm board. Here at Unique we believe that when it comes to creating your new bedroom we offer customers everything they could wish for with our bedroom selection, choice, flexibility and durability. 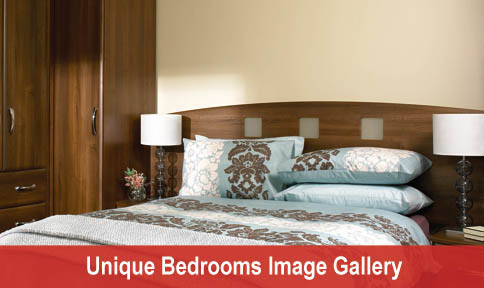 We offer inspirational bedrooms with ranges that will include something to satisfy all tastes. As with all projects undertaken with Unique it is the owner Steve Martin who manages every part of the job, from the initial no obligation quotation and design service to overseeing the fitting of your new bedroom units at the time of installing. Choice - within our bedroom range there is over 70 door styles to choose from which can all be mixed and matched with over 50 colour choices, add into that our wide mix of handles and other accessories and you really can create a truly personalised bedroom. We believe this is especially important when choosing fitted wardrobes as it means that every inch of space can be used to maximise storage increasing usability. This also allows the customer to request the exact requirements for the internal space of the wardrobes, from the height of the hanging to the number of shelves. 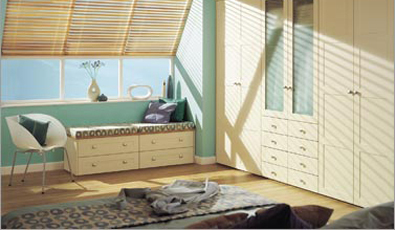 Durability - Our fitted wardrobes are fitted by one of the best fitters in the area. 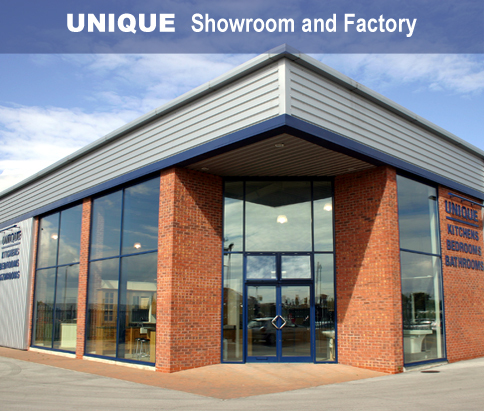 Having worked at unique from the age of 17 he has now had over 14 years experience beginning in the factory manufacturing the product and now installing the fitted bedrooms.